If you’re on a quest to find the best paysafecard betting sites and you’re located in Australia, you’re in for a struggle, because there aren’t that many of them. Nothing to fret about, because there’s still an option, even if the only payment method at your disposal is Paysafecard. We’re going to show you Australia’s top Paysafecard bookmakers, or bookmaker. Nevertheless, you will not be left without options. Punters who are not familiar with how Paysafecard works can scroll down for more information, whereas those of you who are ready to dive into betting action right now can visit the Paysafecard betting sites we recommend. The situation is not enviable to say the least. Following the last regulatory changes which had direct implications on the betting and gaming regulations, most Paysafecard betting sites have moved away from the Australian betting market. Now, the only bookmaker accepting Paysafecard which remains in Australia is Bet365. Some option, right? Exactly! Bet365 is fully capable to provide the betting experience you want. In all honesty, we were doubtful about this, so we had to check with the customer support team of Bet365 Australia. In the end, we got a confirmation that punters from Australia can in fact deposit with Paysafecard. Unfortunately, Aussie punters cannot make withdrawals to their My Paysafecard Account. Now, Paysafecard is pretty big, and by this we mean around the world, not in Australia. Bookmakers in Europe and Latin America are fond of it, because punters love it in the first place! They like how it works, how it protects their privacy and because it’s safe! Although Bet365 is undisputed in many aspects, it'd be good to see more Paysafecard betting sites. Punters need options! Bet365 Australia is currently the only betting site which is willing to take your Paysafecard deposits, as long as you’re in Australia. In addition, if you prefer to fund you betting site accounts with vouchers, check out the Paysafecard Payment Alternatives at the end of this page. We have that covered as well. It’s the casual punter favorite in Europe! In spite of its disadvantages, casino players and sports bettors seem to prefer over credit cards, and some e-wallets. The following points clearly indicate the drawbacks, the flaws you will have to deal with as an Aussie punter. It has a few other disadvantages, but they’re not related in any way to you. Alternatively, all other payment providers have them, or the majority at the very least. The reason why Paysafecard cannot demonstrate any dominance in the Australian online betting market is because there’s a dedicated Aussie payment provider which works the same way! Moreover, there is a range of legal matters that directly implicate the use of Paysafecard at betting sites in Australia. Bet365, like we already mentioned, is a big company and it has the resources to bypass these obstacles. Our field report indicated that most bookies do not opt for Paysafecard because of the habits Aussie punters have developed. Nevertheless, the major, and probably the decisive reason is the presence of FlexePIN. Bookmakers and punters have found common terms with FlexePIN. The best way to describe this situation is to compare what EU punters are getting against what Aussies simply cannot take advantage of. Skrill acquired the leading prepaid voucher payment service Paysafecard, which paved the way for new features to be added to Paysafecard’s existing platform. My Paysafecard was introduced, which finally enabled punters to withdraw to their Paysafecard accounts. Prior to this, they were only able to make deposits with the PINs they obtained from local shops. Now, they can fund their Paysafecard accounts, turning it into an e-wallet. Withdrawing from the Paysafecard couldn’t be easier. However, as it currently stands, Aussie punters can only wish for these payment provider qualities and opportunities. In case there's an advent of Paysafecard betting sites in Australia, we expect this feature provided as well. On a fundamental level, Paysafecard, like all other prepaid vouchers appears amazing from a punter standpoint. It’s basically untraceable, it’s simple and easy to use, the distribution network is decent, and most importantly, the voucher denominations fit the criteria of any punter. Since it was launched, to this very day, Paysafecard hasn’t been through a lot of changes. If it works, do not fix it! Here are the Paysafecard Advantages that concern you as an Aussie punter. Basically, every payment provider that requires a bank deposit, or is even remotely related to your bank account can be traced easily. Now, we’re not saying you’re doing anything illegal, but we’re advocates of privacy protection, and we strive towards total anonymity, as long as no minors or any other vulnerable groups are involved. The PIN voucher you buy in the local shop is 100% anonymous. Between that transaction and the funding of your betting site account, the bookmaker has no insight of your bank details. This not only acts as privacy protection. Instead, it also adds another very important feature, though we like to call it an advantage. Due to Paysafecard’s model, nobody can steal your money, unless you give the PIN away to another person, but then it can’t be considered theft. Once you use the PIN to deposit at a betting site, or you fund your Paysafecard account, the money is there, and nobody can take it away. Merchants, vendors and/or betting sites are affiliated with Paysafecard, which means they’re legit. Then again, make sure you don’t do anything stupid like paste the PIN anywhere on the Internet, because it will be gone in an instant. When you first make your Paysafecard deposit, the bookmaker will not ask for any additional documents. However, once the time for withdrawing comes, you will be subject to the basic identity verification procedure. Moreover, you will have to withdraw via an alternative withdrawal method. It’s highly likely that this will be a bank transfer. To reiterate, people in other countries, where they have more Paysafecard betting site options, can withdraw as well. Being part of a bigger financial institution comes with its perks. Paysafecard experienced this first hand. Not only did they get more resources, and access to a bigger network of distributors, but they also were able to give their customers the option to withdraw to their Paysafecards. Furthermore, Paysafecard became a bridge between Skrill, Neteller and their valued customers, allowing them to fund their accounts with Paysafecard vouchers. 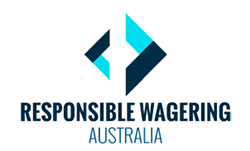 In a way, more Paysafecard betting sites means bigger Paysafe Group influence in Australia. Can we expect any new features added in the near future? For starters, we’d like to see Paysafecard investing more in their marketing strategy targeting Australia. Not that it’s absolutely necessary, but competition is healthy! FlexePIN is currently the only voucher accepted at Australian online bookmakers. Wouldn’t it be better to have more than one option? This will surely drive them to become more efficient, effective, and overall, more appealing to the general punter community. To be honest, depositing with Paysafecard doesn’t differ greatly from depositing with any other payment method. However, there’s only one key difference, which sets it apart from the rest. Just to be sure we’re on the same page, we’re going to cover the depositing procedure step by step. Furthermore, we’re going to assume that you’ve already obtained a Paysafecard voucher from your local shop, and you have it in front of you. Register, if you haven’t done this already. You’re All Set for Your First Real Money Bet! Aside from the 16 digit PIN, the depositing process is identical. It’s fast, simple, and you don’t need any previous knowledge or special skills to do it yourself. You can also do this on your smartphone or table, regardless of the operating system. PayPal is a no-brainer. It’s a dominant payment solution all around the world. As long as it’s accepted by bookmakers, punters are eager to use its services. You can find PayPal only at bookmakers that are licensed in Australia. You CANNOT use PayPal at international betting sites. POLi is also a worthy alternative, created and operated by Australians. It’s a direct online banking payment provider which connects your bank account with POLi betting sites. FlexePIN and BPAY are also Australian made, but they work a bit differently. FlexePIN works the same way as Paysafecard does, which is why we think it’s the best alternative. On the other hand, BPAY is similar to POLi, but the deposits are not instant. Where can I get Paysafecard vouchers in Australia? Regardless of your location, you should check the Paysafecard distributor finder, which is available at the Paysafecard website. Chances are, you've already visited some of these. To reiterate, it works like FlexePIN, which means, you already know it works if you've bought FlexePIN vouchers before. The Paysafe company is registered in the UK and it's subject to the to the Financial Conduct Authority rules and regulations in the UK. However, it also adheres to all international and Australian guidelines, which is why it's available worldwide. Why should I download the Paysafecard App? How does it help me as an Aussie punter? If you were located in Europe, you'd have a lot of added options with the Paysafecard app. However, in Australia, you can only check your balance, see if there are any remaining funds on your Paysafe account. Things have started to change, which is why we think Paysafecard withdrawals are coming to Australia sooner than expected.